Cooper's Creek, 30 May 1861. 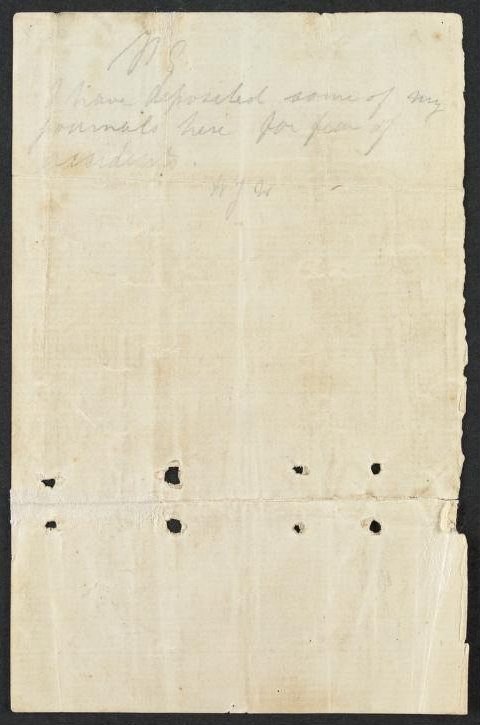 'Last notes' of William John Wills, dated 30 May 1861. 2p. We have been unable to leave the creek. Both camels are dead, and our provisions are exhausted. Mr Burke and King are down the lower part of the creek. I am about to return to them, when we shall probably come up this way. We are trying to live the best way we can, like the blacks, but find it hard work. Our clothes are going to pieces fast. Send provisions and clothes as soon as possible. The Depot party having left, contrary to instructions, has put us in this fix. 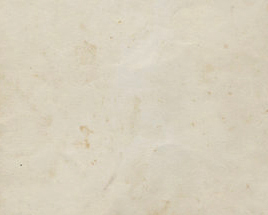 Provenance: A note from the webmaster. 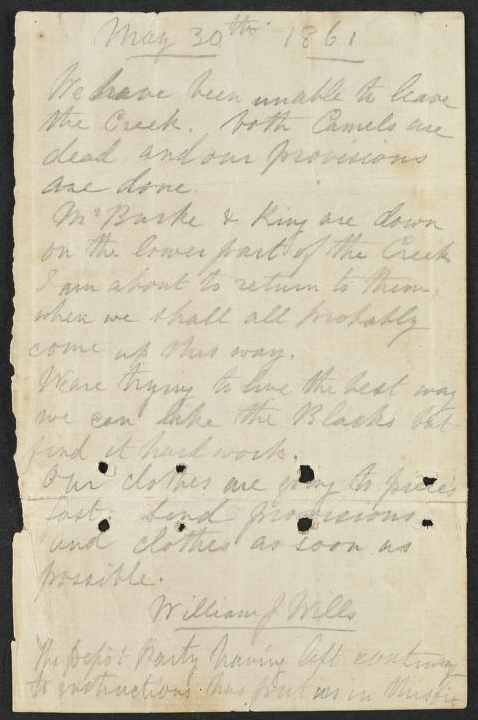 Wills wrote this note on two pages detached from a notebook on 30 May 1861 and buried it in the wooden camel-box cache at the Dig Tree. Alfred Howitt dug up and recovered the note on 28 September 1861 and returned it to Melbourne.